Save Rain in Gardens or Barrels Rain Gardens are more than just pretty places! Rain gardens are an effective way to reduce runoff pollution and control local flooding and erosion by keeping rainwater in your yard and out of the storm drain. 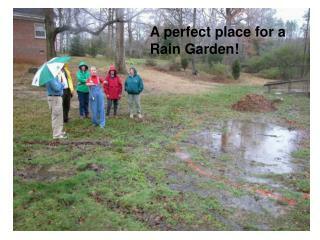 Rain Gardens are more than just pretty places! Rain gardens are an effective way to reduce runoff pollution and control local flooding and erosion by keeping rainwater in your yard and out of the storm drain. These gardens recreate a forest meadow or prairie and can collect about 40% more water than conventional lawn. 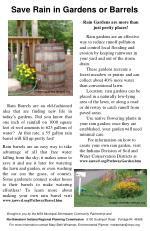 Location: rain gardens can be placed in a naturally low-lying area of the lawn, or along a road or driveway to catch runoff from paved areas. 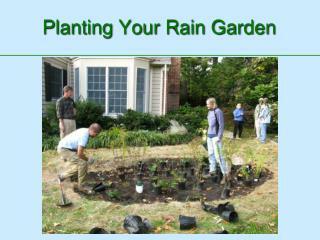 Use native flowering plants in your rain garden; once they are established, your garden will need minimal care. 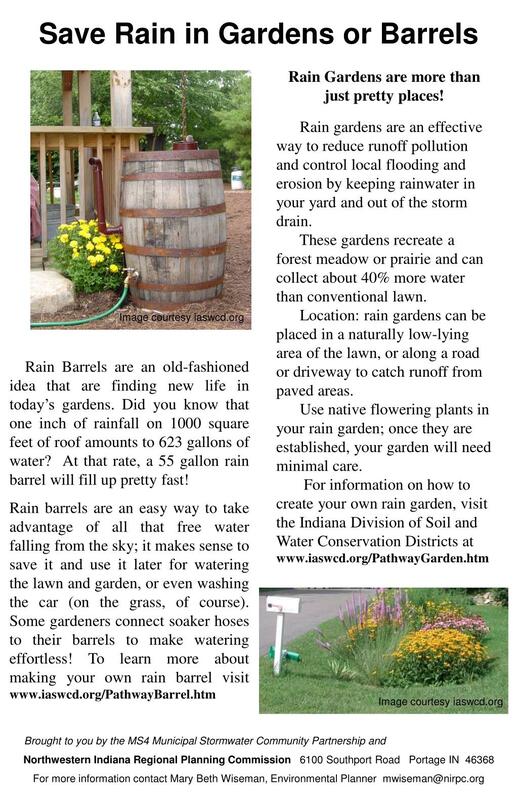 Rain Barrels are an old-fashioned idea that are finding new life in today’s gardens. 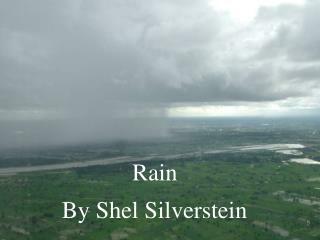 Did you know that one inch of rainfall on 1000 square feet of roof amounts to 623 gallons of water? At that rate, a 55 gallon rain barrel will fill up pretty fast! 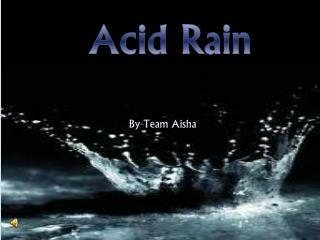 By Team Aisha -Acid rain. by team aisha. 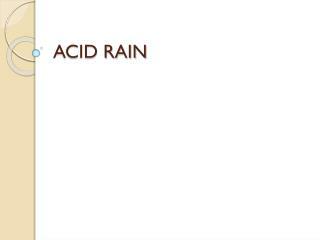 first of all, what is acid rain?. 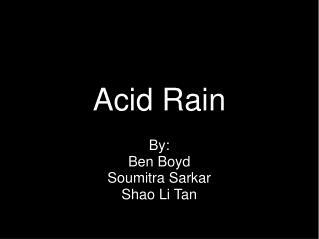 acid rain : rain containing acids that form in the atmosphere when industrial gas emissions (especially sulfur dioxide and nitrogen oxides)combine with purified rain. 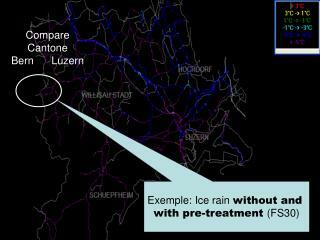 Exemple: Ice rain without and with pre-treatment (FS30) -Compare cantone bern luzern. 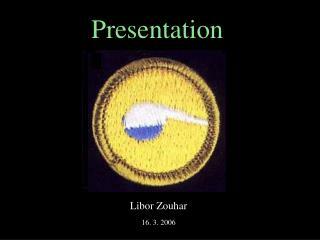 exemple: ice rain without and with pre-treatment (fs30). ice rain. deepest temperature in the climatic domain. the first action was importend. 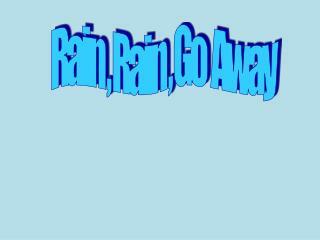 Rain , Rain , Go Away -. grade 4.olga efrus. 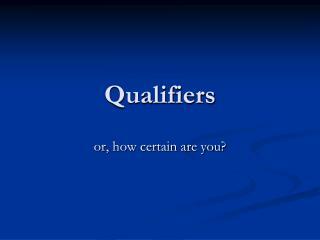 http://www.youtube.com/watch?v=c3v0rjqyctm. rain, rain, go away. 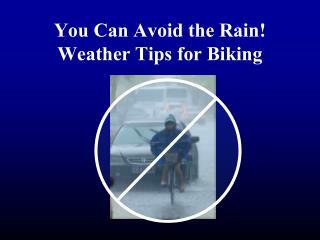 rain, rain, go away ! come again another day . little jonny wants to play . 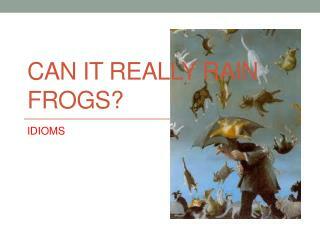 rain, rain, go to spain . never show your face again. 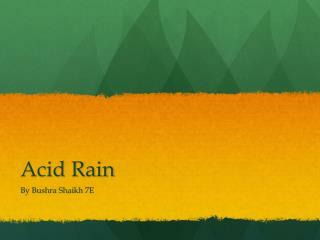 Acid Rain! -. 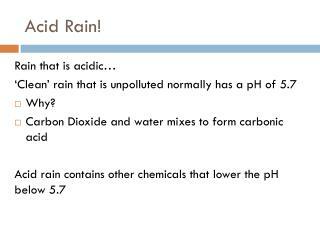 rain that is acidic… ‘clean’ rain that is unpolluted normally has a ph of 5.7 why? 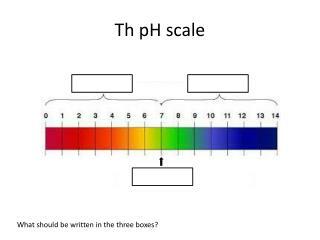 carbon dioxide and water mixes to form carbonic acid acid rain contains other chemicals that lower the ph below 5.7. natural acid rain. Flooding -. 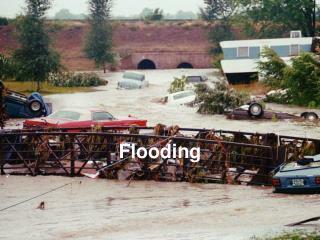 causes of flooding. too much rain: lots of rain over short period (flash floods) continued rain over long periods rain on melting snow dam failure hurricanes (sea water floods land). Tema 5-A Vocabulary -. p. 240. el huracán, los huracanes. hurricane. la tormenta. storm. la inundación, las inundaciones. flood. el terremoto. earthquake. llover. 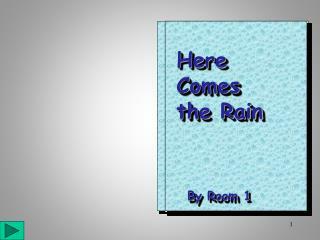 to rain. nevar. to snow. la lluvia. 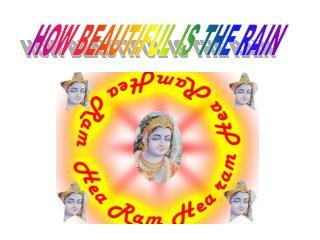 rain. el artículo. 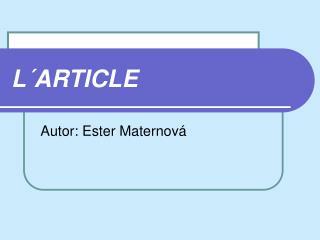 article. line in the -Raining. it was. rain dripped. from the palm trees. the. water. pools. on the gravel paths. stood in. 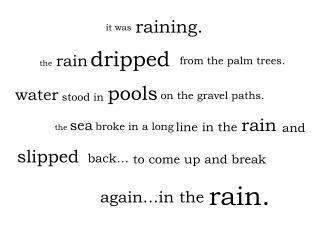 rain. and. the sea broke in a long. line in the. slipped. back…. to come up and break. 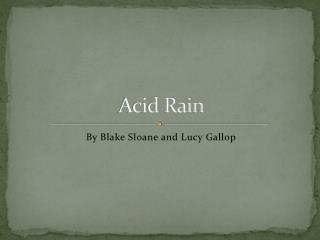 rain. again…in the.